It is an exhilarating time in Celina! Currently, estimated at 11,000, the City of Celina’s population has nearly doubled since 2010. 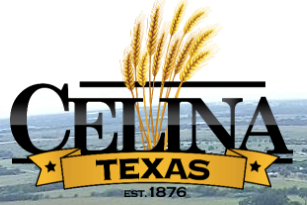 This pace makes Celina one of the fastest growing cities in the Dallas-Fort Worth Metroplex. Situated in high-growth Collin County and nestled between the major arteries of Preston Road to the east and the future Dallas North Tollway. Celina is known for its celebration of authentic culture. Its signature event, CajunFest, as well as several other family-oriented events including Parkfest, Fri- day Night Farmer’s Markets, Movies on the Square, Splash and Blast 4th of July Celebration, Trick or Treat on the Square and Christmas on the Square promote a community identity. For the adults, several local wineries promote an interest in culture and good wine. Although Celina was not established until 1876, settlers came into the area at a much earlier date. In October 1879 a little settlement began to form a few miles southwest of the present day Celina. John T. Mulkey, Celina’s first Postmaster, renamed the town after Celina, Tennessee. By 1885, a general store, mill and a drug store had been opened in “Old Celina’. When the railroad came through town in 1902, residents made the effort to move the town’s actual main street eastward toward the tracks. The result is where the town square stands today. Celina has always been a Small City, with a Big Vision!